Luminous and often haunting, Kay Nielsen’s interpretations of classic fairy tales are among the most celebrated book illustrations of the 20th century. 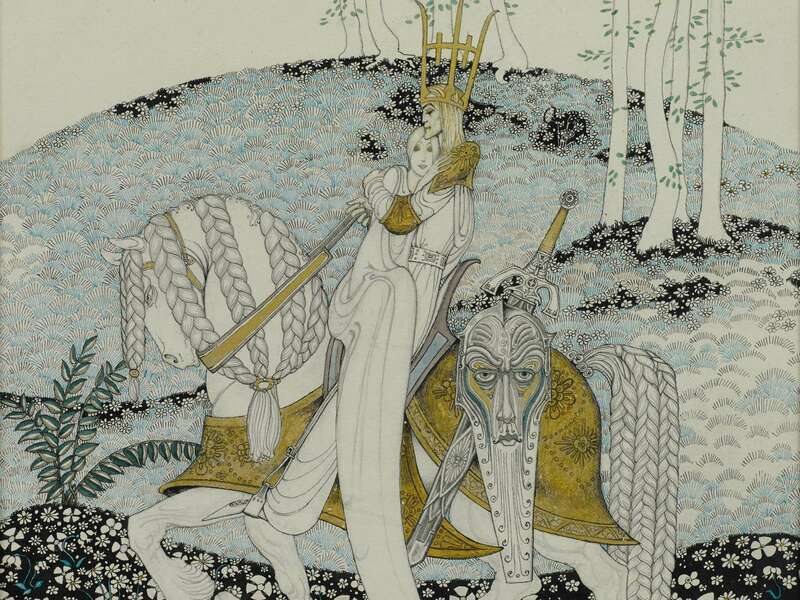 Showcasing more than 45 dramatic watercolors, drawings, and illustrated books from the Kendra and Allan Daniel Collection, “Kay Nielsen’s Enchanted Vision” celebrates the Danish artist’s significant achievements in illustration while highlighting some of his work in theater design and animation. Born in Copenhagen and educated in Paris, Nielsen (1886–1957) gained international recognition for his exquisite gift book illustrations, notably his masterpiece East of the Sun, West of the Moon (1914), a collection of Norwegian fairy tales. In contrast to some of his contemporaries, Kay (pronounced kigh) Nielsen often focused on the melancholic or dramatic elements of tales, creating memorable visual sequences reflecting themes of love, passion, loss, and death.